MALAYSIAN Premier Najib Abdul Razak’s sudden announcement on Thursday night that he would very soon be repealing several unpopular laws, including the Internal Security Act (ISA) of 1960, should have won him praise from most quarters. But it did not. Instead, a general wait-and-see sense of disbelief was the common reaction, be it from the opposition or the right wing of the ruling United Malays National Organisation. Why? Is he not allowed to get anything right? The struggle to get rid of the ISA has after all been an issue that engages wide segments of Malaysian society. Furthermore, he promised to have three emergency declarations lifted. These are nationwide May 15, 1969 Emergency, the Sarawak Emergency from Sept 14, 1969 and Kelantan Emergency from Nov 8, 1977. The first will mean that the Emergency Ordinance that, like the ISA, also allows for detention without trial will disappear. This ordinance was recently used against six members of Parti Sosialis Malaysia in the run-up to the Bersih 2.0 march for electoral reforms. The Restricted Residence Act of 1993 and the Printing Presses and Publication Act of 1984 will also be reviewed. This will mean that the much hated requirement for annual applications for renewal by the mass media will be dropped. No doubt, Mr Najib’s personal popularity has been dropping badly. This should worry the ruling coalition. After all, since he took office in April 2009, he has consistently been more popular than his party or his coalition has been. A bad dip for him just when a snap election is being planned must be a big worry for his government. But for the rest of Malaysia, the announcement surely bodes well. 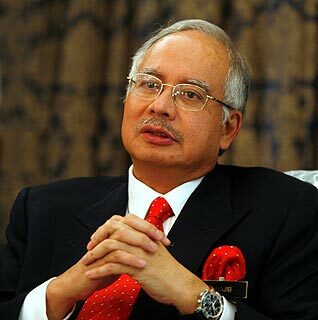 Who cares if Mr Najib is being a populist here and is doing the right thing for the wrong reason? The grounds for scepticism from the savvy pundits in Malaysia are two: One is, “we’ll believe it when we see it”, and second, two new Bills whose structure are as yet unknown will be passed to replace the old laws. Taken at face value, this suggests that no serious discussion on the immediate repeal of the laws had taken place between the major players in the Cabinet. Such a grave matter surely warranted the Home Minister’s participation. If no such discussion took place, then the question is: Is the repeal seriously meant? Will it really take place? This wait-and-see attitude among Malaysians is rational enough, given how serious reforms are such a rare thing in Malaysia. Furthermore, two Bills are to be tabled to replace the laws now being repealed or modified. Their structure is as yet not known and the fact that the Home Minister has stated that he will study the United States’ Patriot Act and the United Kingdom’s and Australia’s Anti-terrorism Act in drafting the new laws necessarily makes the sceptics worry even more. In making his announcement, the Prime Minister must now see things through. He is bound to meet strong resistance from within his own ranks, but it is to be hoped that he realises it would be political suicide for him to disappoint voters at this point in time. It is exactly something as dramatic as the ISA repeal that he needs to regain the political initiative. But many are expecting him to drag his feet or to come up with some side manoeuvre. Should he do any of that, then the whole exercise will backfire on him.